Problem: The Arts Are Dwindling in Our Schools. Especially opera. Solution: The Metropolitan Opera to the Rescue??? I am a passionate opera/music theater fan. I go to hear and see all varieties of the art form. I have worked with and for the New York City Opera, the Met Opera Guild for years, spent much of the 80’s at the National Endowment for the Arts as a field evaluator, panelist and finally researcher. I traveled for them for several months throughout the country, identifying the new wave (then) of theater as well as opera companies developing new and innovative music works using treasured theater “out of town tryouts” to finally arrive at a product worthy of investment and performance. Those are a few of my opera/mt creds. Today I received a letter from Paul Corn, Assistant Principal, Arts, at the Susan E. Wagner High School in New York City. It came in a Met Opera envelope. Here is an AP pleading with me to send money to the Metropolitan Opera (not the Guild and its educational program) so that more students can see The Met: HD Live in Schools. He assures me kids are benefitting, transformed, some even led on new career paths, such as theatre design in college. He is shilling for the Met! Accompanying this letter is one from Deborah Voigt, one of our better Wagner interpreters, who makes her pitch for me to send money to Live in HD because the in-school program has expanded to include 25, yes, twenty-five school districts across the United States, “making opera more accessible to students, particularly in underserved populations. TWENTY FIVE SCHOOL DISTRICTS!….Do you know how many school districts there are in the US? About 14,000 or so. And Corn and Voigt are urging me to send them money for New York! Mind you, I think the HD quality is exceptionally good, but opera is at least a three-dimensional experience, and as good as the films are, they are still two-dimensional reels with voices and orchestra separated from viewers by a screen and ecology. I want every child in every one of our school districts to have music theater experience in the school day, in the community, where it is much more accessible and thrilling…where it goes beyond “exposure” and a one-off. Will we ever learn and accept that the arts are worthy of long and deep study in our schools for all sorts of cognitive, social, emotional and aesthetic reasons? What I am most incensed about is that people who should know better are just skipping over the necessity of professional music teachers reaching all our kids, every day, with the help of classroom teachers and artists who can give the art form depth and presence. And that these people are asking the “rich” donors to the Met to put their money in a nice, safe, but still not authentic experience of trumpets blowing and love songs ringing out and choking you up with tears at the beauty of the human voice trained to sing right through those blasts…. Meanwhile, the number of arts educators dwindle in our public schools. JANE REMER’S CLIFFNOTES We are at another rocky precipice in our history that threatens the survival of the arts in our social fabric and our school systems. The timing and magnitude of the challenges have prompted me to speak out about some of the most persistent issues in the arts education field during the last 40 plus years. My credo is simple: The arts are a moral imperative. They are fundamental to the cognitive, affective, physical, and intellectual development of all our children and youth. They belong on a par with the 3 R’s, science, and social studies in all of our elementary and secondary schools. These schools will grow to treasure good quality instruction that develops curious, informed, resilient young citizens to participate fully in a democratic society that is in constant flux. I have chosen the title Cliff Notes for this forum. It serves as metaphor and double entendre: first, as short takes on long-standing and complicated issues, and second, as a verbal image of the perpetually perilous state of the arts as an essential part of general public education. I plan to focus on possible solutions and hope to stimulate thoughtful dialogue on-line or locally. 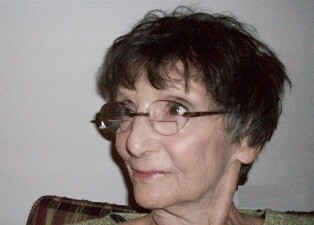 Jane Remer has worked nationally for over forty years as an author, educator, researcher, foundation director and consultant. She was an Associate Director of the John D. Rockefeller 3rd Fund’s Arts in Education Program and has taught at Teachers College, Columbia University and New York University. Ms. Remer works directly in and with the public schools and cultural organizations, spending significant time on curriculum, instruction and collaborative action research with administrators, teachers , students and artists. She directs Capezio/Ballet Makers Dance Foundation, and her publications include Changing Schools Through the Arts and Beyond Enrichment: Building Arts Partnerships with Schools and Your Community. She is currently writing Beyond Survival: Reflections On The Challenge to the Arts As General Education. A graduate of Oberlin College, she attended Yale Law School and earned a masters in education from Yale Graduate School. Excellent blog, Jane. It underscores my concerns over the Sistema movement that is sweeping North America. While I support and applaud the concept of Sistema as a ‘social program’ (Dr. Abreu insists it is not a “music program”), I am concerned that it absolves the public education system of it’s responsibility to provide quality music education as core curriculum; or as you say “the necessity of professional music teachers reaching ALL our kids.” It is my hope that Sistema programs will create a demand for better and more accessible classroom music education in our public schools. Is El Sistema really “sweeping” across North America? I doubt that. While I don’t mean this as a value statement, isn’t El Sistema another example of a very good “program”? A program that will be dependent on private funding, and essentially be another potential pocket of excellence? I hear from people all the time that El Sistema is sweeping the nation, that it is doing this and that. I dunno. It strikes me as another of the many good things out there that won’t change the big picture. I think these telecasts are marvelous, for all the obvious reasons, but they are reproductions. Youngsters, especially, need live participation in music, even if it’s at a very simple level. That’s how the aforesaid privileged granddaughter learned to play the violin–through her New York public school’s orchestra. Spot on Jane!! Exposure can not replace experiential education and performance does not replace curriculum. And electronic delivery of a live performances is not a live performance. We have encouraged arts organizations to “make up” for schools which has diminished their real purpose and placated school administrators to believe the arts are being taught. You are speaking truth and keep it up. I think that what is really questionable here is that it appears that the Metropolitan has been pressuring principals and others from the schools to raise money for the HD programs. With there being so little money for anything in schools, including paper towels, how can a $300 million organization ask these underserved schools to beat the drum for money for the Metropolitan. Shouldn’t it be the other way around? Hasn’t the Metropolitan raised money from donors to provide these broadcasts to schools? And of course, Jane Remer is right. The HD broadcasts are a good thing, but no match for a good music teacher, or an artist in residence. This is not only pathetic but it is deeply shameful. in the face but we will yet have another book to prove the obvious . Never seems to end ………..
You address the socioeconomic issue head on. Thank you, Jane. To Pacer1: while I can’t comment on the conditions at the El Sistema USA sites, I do know that the two El Sistema USA public school sites operated by the Peoples Music’s YOUR Project in Chicago are offering quality after school music instruction to hundreds of students who had nothing during school except a bit of “general music” for 30 minutes a week at best- and no school band or orchestra. And, at El Sistema world headquarters in Venezuela it should be noted, the overwhelming majority of nucleos are located not on school sites at all. Instruction and intensive rehearsals take place during after school hours at the local fire station, post office, city hall, culture center, race track…. But maybe that’s your point, Pacer1 – the original Venezuelan model is truly a social equity one – come one come all – and the musically meritorious are identified and pushed forward, rising to play in increasingly challenging regional and national orchestras. Voila – Gustavo Dudamel. Is the El Sistema “brand” now being too loosely applied to programs that do not fully embrace the core social equity issue, offering a place in the band for everyone who wants to join after school as local capacity permits? I’m just wondering if the North American translation becomes less “system” based than the original “El Sistema” because we do not have a common, centralized operational hub and no de facto national Ministry of Music Education that FESNOJIV (El Sistema) has become over time in Venezuela. Like the Met pushing opera in HD, are we pushing a loose, media-driven idea of El Sistema that will end up perpetuating symphonic music as elitist music? David: that is exactly my point. Are we entering an era where we can say “with Sistema programs working so well, why do we need to worry about music education in the public schools”? For example, Look at the Project in Chicago you mention that benefits hundreds of children. What about the thousands of students in those schools? Should they have access to instrumental music, and more than 30 minutes of general music a week? There’s the rub. Sistema is getting a lot of attention and funding, which it should. It is in economically depressed communities where it is most needed, and for which it was created. However, in it’s application, it is not universal. Your point about the lack of a “centralized operational (read ‘educational’) hub” is well taken and reminds me of something Katerina Witt once said to the effect that, we all know the evils of the communist system of government, but under that centralized system she was given access to the best instruction and training throughout her sports education. Maybe it’s time public schools had their own ‘System(a)’ as far as music education. Is El Sistema really that well funded? Attention yes, but funding, impact, etc? I remember when CAPE got a ton of attention and I remember when everyone was all a buzz about Obama’s Artist Corps. Very good point, Pacer1. But the only way there could be more education funding allocated toward music education across the board in the vast Chicago public school system would entail a complete reversal of current priorities and is unrealistic to expect anytime soon. In the interim, the privatization of public school music education, via artist residency programs and after school programs provided by 501(c)(3) nonprofit arts organizations subsidized by philanthropic entities, represents a plan of action, albeit largely un-“system”atic, that continues to grow apace.